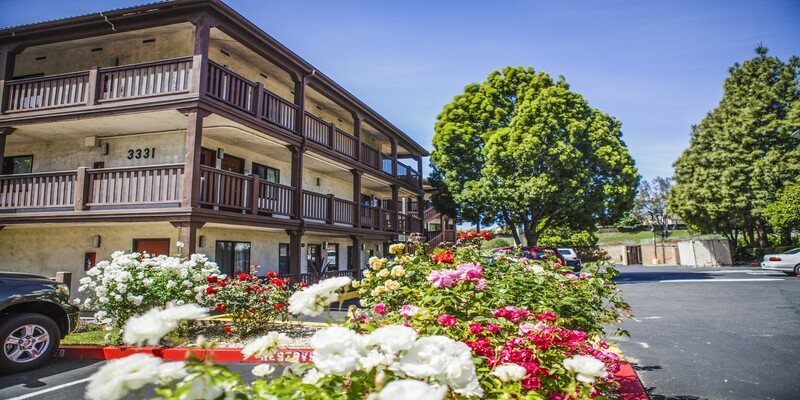 Welcome to Americas Best Value Inn located in beautiful Fairfield, California. We are easily accessible from Interstate 80 Exit N Texas Street. Our three story exterior corridor property features 101 spacious guest rooms designed to provide you with many modern day amenities including free high-speed wireless Internet access, satellite TV with Encore, mini-refrigerators, and complimentary wake-up service. We offer our guests complimentary continental breakfast every morning. Be sure to take some time to relax by our crystal clear outdoor pool or take the kids to our fun on-site game room. We also have a convenient laundry facility that is open to all of our guests. Our friendly and experienced staff is here 24 hours a day to give you a relaxing home away from home experience. Six Flags Discovery Kingdom’s Fright Fest 2016, presented by SNICKERS, will be their biggest and scariest event ever!